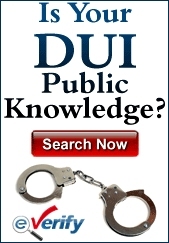 Driving while intoxicated is taken very seriously in New Jersey. Because drunk drivers can cause significant amounts of damage and fatalities if there is an accident, law enforcement is constantly on the lookout for those who are driving under the influence. When a driver is caught committing a DWI, the penalties are harsh. This is to provide a deterrent to those who are considering drinking after driving. Of course, there will still be people who make the decision to drive after drinking. Some may not believe they are legally drunk or that their reaction times will be negatively influenced by what they drank. In other instances, people just don’t consider the ramifications of drinking, driving and getting caught. If an officer sees a vehicle driving erratically, committing dangerous actions, swerving or acting in a way consistent with a drunk driver, a traffic stop will be made. When a driver is stopped by law enforcement and the officer suspects the driver is under the influence, he or she will look for telltale signs of intoxication. These can include slurred speech, bloodshot eyes and the odor of alcohol emanating from the vehicle. 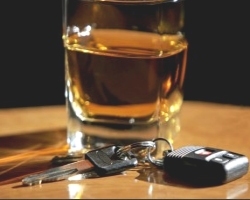 If there is sufficient suspicion and after asking for the driver’s license, registration and insurance, the officer will ask the driver to perform standardized and non-standardized field sobriety tests. Standardized tests include the walk-and-turn test, the one-leg stand test and the horizontal gaze nystagmus test. Non-standardized tests include the Rhomberg test, reciting the alphabet and touching the finger to the nose. The officer will then request that the driver submit to a breathalyzer test. The breathalyzer test is meant to measure the driver’s blood alcohol content (BAC). Drivers age 21 and over who register 0.08% or above on the breathalyzer will be over the legal limit and charged with DWI. For a driver under the age of 21, the limit is 0.01%. Drivers who have a commercial license will be charged with DWI if they register 0.04% or higher. Drivers who register a high enough BAC level will be arrested and charged with DWI. Drivers who are convicted of DWI in New Jersey will face a wide array of penalties. All can have a major affect on their lives practically and financially. The penalties will include: a driver’s license suspension; fines and fees; jail time; the possibility of having an ignition interlock device installed on the driver’s vehicle; and community service. The level of penalties that a driver will face depend on the amount of alcohol they were found to have in their system. If there are multiple convictions for DWI, the penalties are also higher. If the infraction is committed in a school zone, the driver will also face harsher penalties. Drivers who register a BAC of 0.08% and less than 0.10% will lose their driver’s license for three months. They will face fines of between $250 and $400. They will have to pay a fee of $230 to the Intoxicated Driver’s Resource Center (IDRC), $100 to the drunk driver fund, $100 to the Alcohol Education and Rehabilitation Fund (AERF), a $1000 surcharge annually for three years, and $75 to the Neighborhood Services Fund. There can be a jail sentence for up to 30 days. There will be between 12 and 48 hours of service to the IDRC. If the BAC registers 0.10% or higher, the penalties are a driver’s license suspension of between seven months to one year. The fine will be between $300 and $500. The other penalties are the same as with a lower BAC. If the BAC is 0.15% or higher, there will be an ignition interlock device placed on the vehicle and for six months to a year after driving privileges have been restored. If there have been repeated violations, the penalties are far more extensive. With a second offense DWI within ten years after the first conviction, the driver’s license will be suspended for two years. There will be a fine of between $500 and $1,000. The IDRC fee will be $280. $100 will be owed to the drunk driving fund and the AERF. The surcharge will be $1,000 annually for three years. $75 will be paid to the Neighborhood Services Fund. The jail sentence can be between 48 hours and three months. There will be 30 days of community service, 12 to 48 hours in the IDRC, plus the ignition interlock device placed on the vehicle for one to three years after driving privileges have been restored. If there is a third offense within ten years of the second offense, the driver’s license will be suspended for ten years. The fine will be for $1,000. The penalties for the Neighborhood Services Fund, IDRC and AERF are the same as for a second offense. The surcharge will be for $1,500 annually for three years. The jail sentence will be for six months. There will be up to three months of community service, 12 to 48 hours at the IDRC and the ignition interlock device for one to three years after restoration of driving privileges. After there has been a DWI arrest, the driver will be arraigned. At the arraignment, a driver will be told his or her rights and the penalties they are facing. If you have a lawyer, you might not have to appear to enter a plea. It can be entered in writing. A trial date will be set. Approximately a month after the arraignment, there will be a arrest process. Next will be the trial. The prosecution and the defense will make opening statements. The prosecutor will present the evidence that DWI was committed and question witnesses. The defense will then present a case by calling witnesses and attempting to counteract the prosecution’s claims. Closing statements will be made by both sides with the prosecution saying why there should be a conviction and the defense attorney stating why there should be an acquittal. There is always the possibility that a plea agreement will be offered by the prosecution to preclude the trial. If there is a conviction, the defendant can file an appeal in Municipal Court. With the long and short-term penalties accompanying a DWI charge, drivers need to understand the consequences before getting behind the wheel. If they are caught driving under the influence, it is important that anyone who faces these charges understand how the process works and what to do when they occur.